If you're planning to go on an international holiday this summer, you'll need the answer to these important questions about foreign currency. Planning to go abroad for the summer? Should you opt for the US dollar or local currency? How much are conversion rates? And should you go with a card or carry cash? Let's find out. The first thing to do is familiarise yourself with rules and regulations related to foreign exchange as laid down by the Reserve Bank of India (RBI), regarding travel abroad for various purposes. Here’s what the RBI has to say about taking money out when travelling abroad for pleasure. How much foreign exchange can you buy when going to another country on holiday? For private visits abroad, such as tourism purposes, the RBI says foreign exchange up to US $10,000, in any one calendar year, may be obtained from an authorised dealer. The limit of US $10,000 is applicable in aggregate, and foreign exchange may be obtained for one or more visits, provided the total foreign exchange availed of in one calendar year does not exceed this amount. Under the Business Travel Quota (BTQ) or Foreign Travel Scheme (FTS), a total of US $10,000 can be availed, along with foreign exchange for travel abroad for any purpose, including employment, immigration or studies. No foreign exchange is available for visits to Nepal and/or Bhutan for any purpose. Travellers can purchase foreign currency notes/coins only up to US $2,000. The required balance amount can be taken in the form of traveller’s cheques or banker’s draft. (b) Travellers to the Islamic Republic of Iran, Russian Federation and other Republics of Commonwealth of Independent States, can draw entire foreign exchange released in form of foreign currency notes or coins. While international credit and debit cards can be used without reservations in India, while travelling abroad, they can be used only for making personal payments up to the extent of the limits specified earlier. However, use of these instruments for payment in foreign exchange in Nepal and Bhutan is not permitted. When using these cards abroad, it is important to remember that transactions made outside India could attract a foreign currency conversion fee, based on the card type. Similarly, using your credit card to withdraw cash from an overseas ATM could become quite expensive. In some cases, you may also be charged between 2 – 3% in foreign transaction fee when swiping your card. This is another way to carry foreign currency while abroad, without having to keep cash or cards on hand. These cheques include a prepaid fixed amount that can be exchanged for cash, or for buying goods and services. They are accepted worldwide at hotels, banks, exchange bureaus and other establishments. Travellers cheques are available in major currencies such as US or Canadian Dollars, Sterling Pounds, Euros, Chinese Yuan or Japanese Yen, and in fixed denominations (20, 50, 100). As travellers cheques aren’t linked to bank accounts, there is less risk of identity theft. They include unique serial numbers so that if lost or stolen, you can contact the issuing agency, who will cancel the cheques and issue new ones to you. 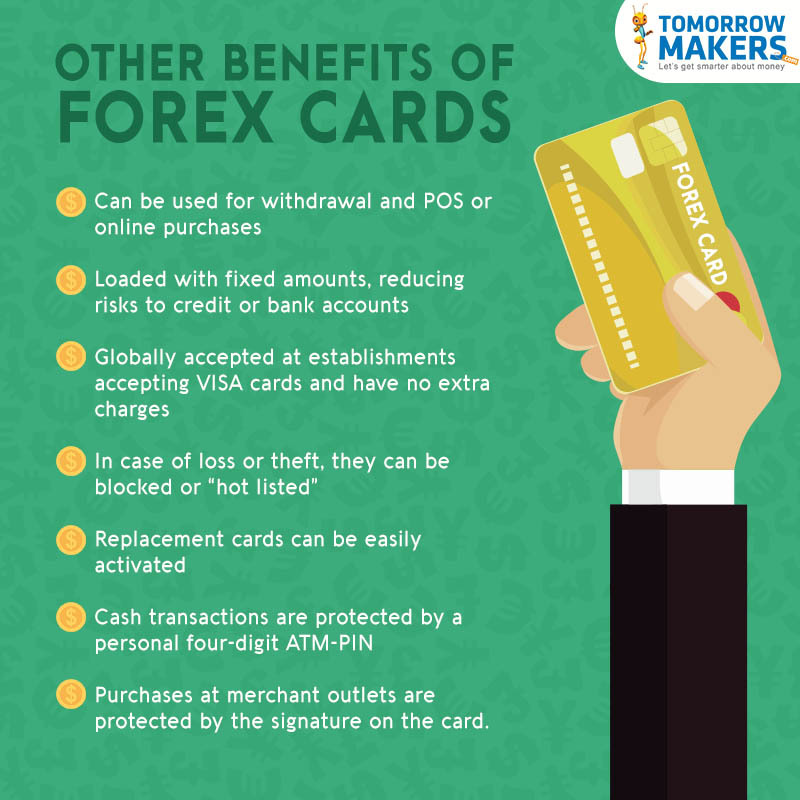 Prepaid forex cards can also be used for transaction purposes while travelling abroad. 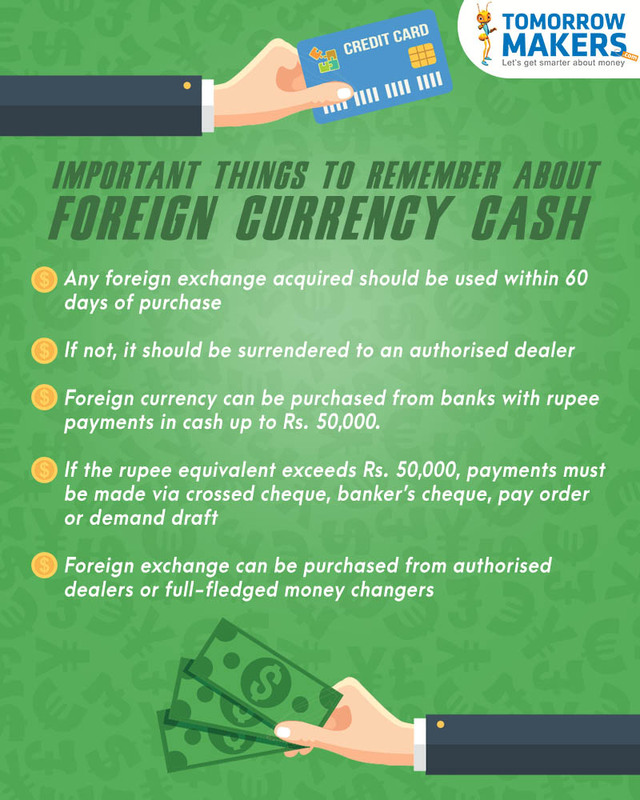 With this, you can withdraw cash in foreign currency, check balance and shop. Banks such as ICICI, HDFC, SBI, Standard Chartered, and Axis, offer prepaid forex cards, which are fast growing in popularity. One primary reason for this is that Forex cards are a less expensive option than cash, which as stated earlier, is harder to come by. These cards can be loaded with the currency of your choice, and are independent of market volatility. For tourism purposes, you can have a maximum limit of US $10,000 or its equivalent of foreign exchange on forex cards. Easy Reload: If you exhaust your foreign exchange while travelling abroad, you can log into your account at a cyber cafe anywhere, at any time and “reload” the desired amount of forex. Cashless Travel: A forex card eliminates the need to carry bulky banknotes and cumbersome traveller’s cheques. Multi-Currency Option: You can have more than one currency loaded on forex cards, which eliminates the need to carry various currencies when travelling to more than one country. There is also no risk of encountering fake or outdated currencies. Regular Updates: Forex card providers usually issue monthly statements and offer online access to help customers track spending and transactions. Easy Encashment: The customer can also encash foreign exchange on return.